Master Li’s working method. It’s principle. Master Dean Li works with energy on the spiritual level. This means, he operates out of and with the invisible which is hidden behind every shape and grants the form. You can call this godly, cosmic, spiritual, true or original energy. In his functions, Master Dean Li is bound to the universal spiritual principles and committed to an enormous conscientious reliability. Out of this responsibility he always helps people in the best possible way considering the circumstances and chances of life in the given situation. Out of the heart he follows absolutely free his vocation to live and act with and out of the spiritual. If someone cannot come forth with his problems and tasks on its own, Master Dean Li can help and support until the situation has improved. The essence of his working method arises, as already mentioned, out of the invisible and is usually depicted as incomprehensible. As a result, one can only try to describe it with words very rudimentary. The real understanding will finally only be attained through the own experience. The reason for most difficulties of human being is the separation from his true self, his spiritual being. 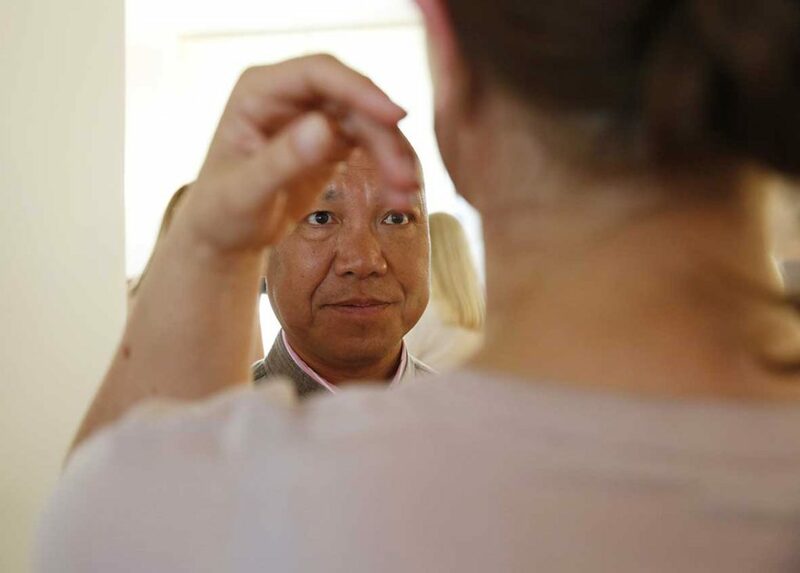 Thanks to the ability to be conjoined with the Divine, Master Dean Li re-establishes the lost or weak connection with the original field of energy and information. As long as the bridgeover to this inexhaustible source exists, body and soul can regenerate and go back to the natural equilibrium – entangled with the own origin. Analogue with it, the inner navigation, which shows us the path of life due to the inherent, all-knowing spirit, gets activated. In the light of these relations, a transforming process begins which can demonstrate and bring along possibilities and alternatives in dealing with problems of any kind sooner or later. In order to succeed in such an exceptional way of collaboration between Master Dean Li and the one who asks for help, the inner attitude of the one seeking help, the own responsibility and the effort to give the best himself is an essential foundation with all projects and concerns. This includes characteristics like trust, honesty, inner calm, understanding, peacefulness and the fair balance of the own possibilities. They all form the foundation for an open and harmonic connection with each other and the spiritual world – a common ground which only concentrates on one aim. If this unison is set up and kept up, the energy and information can flow unhindered, unfold itself and take effect – even though it might take longer than originally thought. Solving karma is a big project most of the times. It could happen that the one seeking help may sometimes lack understanding or inner calm to let go of his conceptions and wishes. It is of utmost importance – if trust exists – to listen very carefully to what Master Dean Li tells or recommends in such a case. As informations of this kind come from the original spirit and imply a deeper meaning as it might be possible to see straight away. They show practicable solutions to the one seeking help which empower him to maintain the contact to the energy between heaven and earth and to Master Dean Li. Thus, it is possible to go through even challenging times and make further steps of development – to understand, realise and act sensible according to the particular situation. The ability to make a „diagnose“ on yourself and your life brings about self-healing equally. 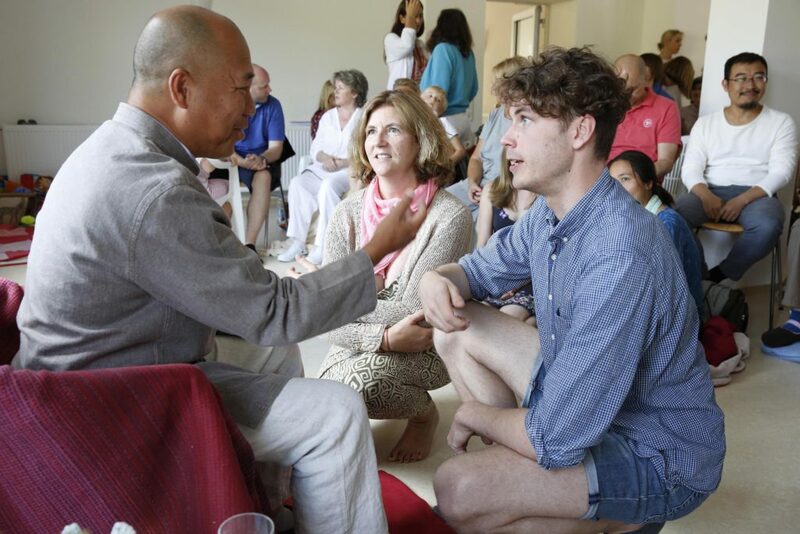 To commit yourself to a working relationship with Master Dean Li as a client, student or partner, is equivalent to engaging in a relationship with the thereby operating spirit. From then on, spiritual principles take effect – not only for Master Dean Li but also for the other person. These principles must not be violated by either side, preferably. „You should not play with the spirit“, says Master Dean Li. Each act has nature-related consequences. That is why the own responsibility and honesty is so inevitable in this relationship. It is also very important to learn how to handle one’s own opinion, thoughts and imaginations, as well as to be able to differentiate them and to sometimes question where such views come from and whether or not they are really in accordance with the facts. If the earlier mentioned characteristics are not adequate enough or if they are subject to strong fluctuations in the the person seeking help, the energetic connection for his part cannot be in accordance with the joint working at that moment – or is even partially disjoined. As a result, there is only a narrow or temporary no possibility at all for Master Dean Li to directly help the concerned person well. To this end, it is appropriate to first of all regain patience and calm. To work this way means to live and to operate together through and with the same spirit according to the own capabilities and possibilities. This is one of the most important principles of the DEAN METHOD and its effectiveness, according to which Master Dean Li acts. Vorheriger ArtikelArbeitsweise von Meister Dean Li. Das Prinzip.